The Raicho II is very compact, yet it outputs 60W per channel. It is not a digital amplifier. The ‘pure analog’ amplifier offers low noise and a powerful low frequency bass. 1 set of RCA jacks to connect different types of speakers. Connects to speaker with minimum loss. Norwegian granite, Emerald Pearl, used for its top panel. 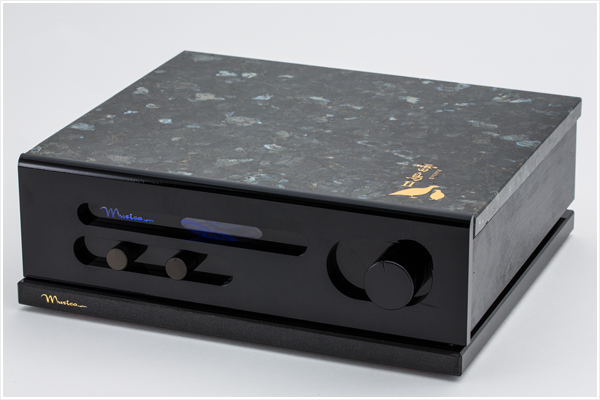 The granite minimizes vibration of the amplifier case because of its appropriate hardness and weigh.